In recent years, we have seen a major rise in MMA. That rise gave us people like Connor McGregor and Nate Diaz. Needless to say, their fights were awesome. So, if you were planning on getting into MMA, then we have just the accessory that you need. 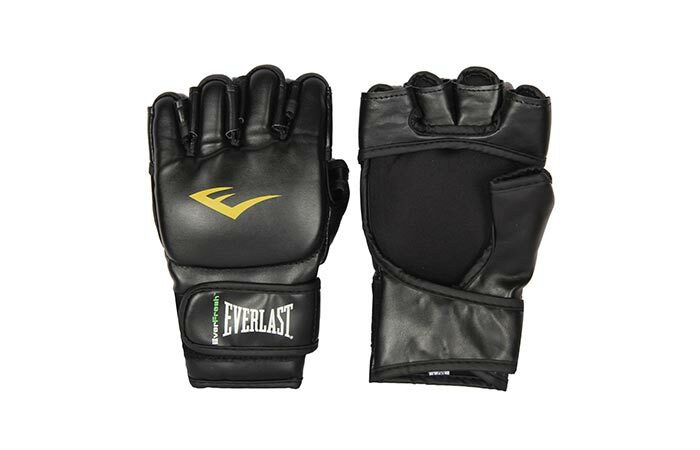 Introducing Everlast’s Mixed Martial Arts Grappling Gloves. These MMA Gloves serve two purposes; firstly, they protect your hands while striking, and secondly, they serve as a buffer for the other person’s body, or face. There’s no fun in getting punched with a bare knuckled fist. These gloves have more than 3/4″ of padding to protect your knuckles while striking. These gloves weigh in at 9.6 ounces, which gives your fist extra weight as well as protection. To enhance the protection even more, these gloves have more than ¾” of padding over the knuckles. This also tightens and stabilizes your fists when balled and reduces the chances of a fracture. Furthermore, all of the seams on these gloves have been reinforced. The individual finger slots also aid in mobility and allows you to grapple properly, if the need should arise. The padded knuckles allow you to strike, while the elasticized palms allow for grappling. The durable hook and loop wrist strap also makes these gloves exceptionally easy to fit and fasten. These gloves also feature an elastic cuff for a professional form fit. 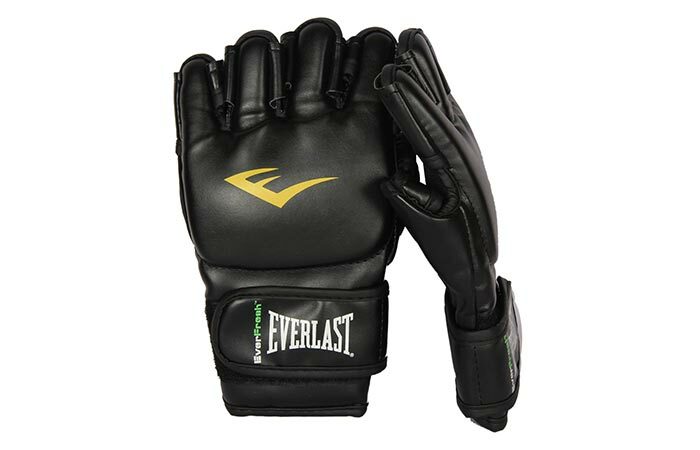 So, if you were planning on getting into the sport seriously, or simply to relieve some stress on a boxing bag that you have, the Everlast Mixed Martial Arts Gloves are a definite must have.